In that same booklet, Dave wrote that “the death of my father in 1975” was the event that had the most impact on his life since graduation. When asked about the high-school class and teachers who influenced him the most, Dave listed Glenn Driscoll(Assistant Principal and Counselor) and Speech class with Miss Czarnecki. When asked to name his favorite song in the year we graduated in 1966, he wrote: Good Lovin’ by The Rascals. When classmates were asked in early 2016 updates to express their interest in attending the 50-year reunion that year, Dave Theiss was listed in the March 2016 update among the classmates who were interested in the reunion. Despite his interest at this time three years ago, he was not able to attend the 50-year reunion after all. Donnie, thanks for the update on Dave Theiss. He was a good person and a kind man. I know he will be greatly missed by his family. I also appreciate your interview with Warren Knight [March 2019 update about Flash Cadillac]. It was very good and insightful. I appreciate all you do for our class. I'm saddened to learn of Dave's passing. Dave was one of the good guys in our class at WHS. Thank you for the news [January 2019 update] about the deaths of Charla McAlexander and our teacher Mrs. Adams. While I didn’t know Charla well, I did know her McAlexander family. 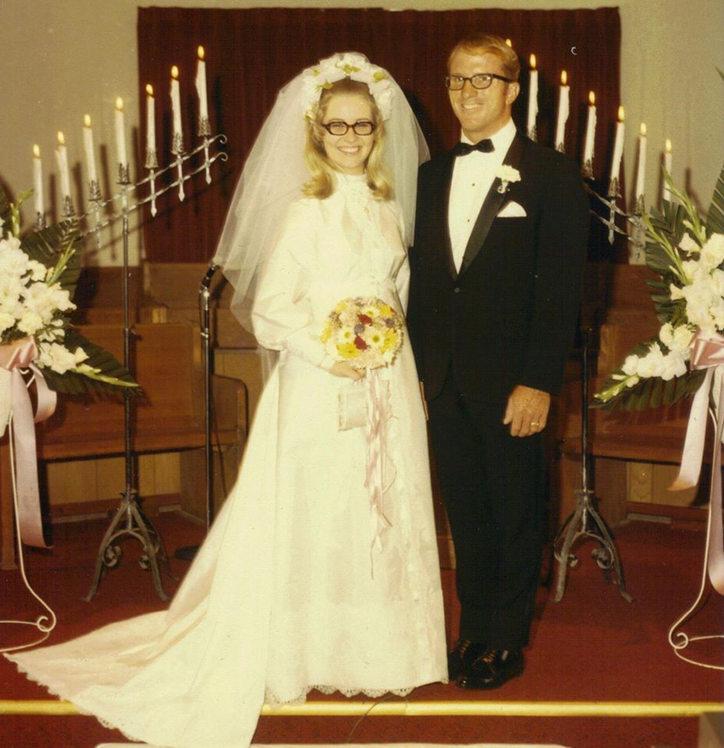 In his later years, my Dad walked every day to the Kwik Inn to meet Mr. and Mrs. McAlexander. Every week when I talked to Dad, he mentioned his meetings with the McAlexander parents. One of my biggest disappointments as an adult happened a few years back when I was walking with my Dad, we stopped by Mrs. Adam’s home. She knew Dad well, but she had no memory of me. How is it possible that my favorite teacher could not remember me? Now I realize I was only one of several thousand students who passed through her classes. My dear God now has two of my favorite people in his arms. I always liked and respected Dave. I remember how Dave’s favorite group was the Beach Boys. He told some funny stories at our 40th reunion concerning skinny dipping at Ft. Carson and a bunch of them getting caught. Donnie, thank you for your email and informing of the sad news of Dave Theiss' passing. My son, Yael, and I did indeed link up with Dave in Clear Lake, Iowa following your putting me in touch with him. Yael had never met him before and I had not seen Dave since May 1967 when we graduated from the US Military Academy Prep School, then at Ft. Belvoir, Virginia. Dave and I played on the football team there in the Fall of '66. As you pointed out, he went on to the Merchant Marine Academy and I went on to the Naval Academy in Annapolis. In the end, neither of us made careers out of the military. Dave graciously gave us a tour of his business and the Surf Ballroom [historic rock and roll landmark in Clear Lake, Iowa] where "the music" died early one morning in Feb '59 when Buddy Holly, The Big Bopper, and Richie Valens died in a plane crash not long after singing their final songs. Dave has a booth at the Surf and I had hoped to visit him again there, but alas that is not to be..We also had dinner with Dave and his wife Patti on that trip Dave was a fine friend in 1966/67 and when we saw him last September, he still retained his welcoming nature. We are very sorry to see him go. All the best to you, your family, and the rest of your class. Donnie, you probably don't remember me but I remember you and wanted to let you know that I really appreciate you keeping us updated on the happenings with our class and our classmates. So sorry to hear we are losing so many. Also thank you, Paul Snell, for managing our website. Thank you, Donnie, for letting us know about Dave’s death. I remember that he played on the football team at WHS, and it didn’t surprise me to read that he was such an active member of his community. I was surprised to read [March 2019 update about Flash Cadillac and Warren Knight] that you had taken dance lessons as a child and that you had performed at the Fine Arts Center. Wow! But then you have always been an amazing dancer and taught all of us the latest dance steps. Donnie, thanks for reminding me of your early ballet and tap dancing. And, how wonderful it was for you having a grandfather and two uncles playing guitars and singing Mexican songs. Was there any Mexican dancing to them with the family? How limber are you these days? I think we should all insist that you make a video showing us your moves, the splits and the others. It would be a riot for all!! What an interview [March 2019 update] you did with Warren Knight!! You nailed it!! Our "family" of the Widefield class of 1966 is just learning of the passing of our beloved classmate Dave Theiss. Although I can only speak for myself, I'm sure I represent the entire class of 1966 and anyone who had the privilege of knowing him and his family. Coach Theiss was an inspiration to his athletes. Mrs. Theiss was an inspiration to her journalism students. I was one of her students for 4 years and often thought I should have told Dave how much she influenced my life. Dave was always top shelf. He lived his life always with integrity and love. Our hearts go out to his family. Please just know he was loved and respected by those of us who knew him. Our thoughts and prayers to his family. He was quite a character and my best friend. Too many great memories to share. I'll remember his gritty sense of humor and his determination to excel at whatever the task. Will pray the Lord will give the family and friends comfort in the days ahead. RE: December 2018 update on the death of Linda Brown (Class of 1966) and not knowing the cause of the 1974 death of her sister Marlene Brown (Class of 1967). Marlene passed away from a traffic accident. If I remember correctly it was on Fontaine Blvd. and Metropolitan Drive in Widefield. She was close friends with my sister Vickie. It was quite a shock at the time. I worked with Marlene at Farmers Insurance Company right after I was married, and my husband and Marlene’s husband Jerry Frazee were in Vietnam. Jerry was in the Seabees, and my husband was in the Army. THE 50-YEAR ANNIVERSARY of FLASH CADILLAC will be celebrated with a performance on Saturday, April 20, 7:30 p.m., at the Fine Arts Center located at 30 West Dale Street in Colorado Springs. The nationally-renowned Flash Cadillac performing artists (one of whom is our Class of 1966 Committee member Warren Knight) have been playing traditional rock ‘n’ roll since 1969. Posted on our class website since mid-February, the event will be in a theater that holds only 400 people and tickets will likely sell out quickly. The admission is $40 per person, and all seats must be reserved in advance via online ticketing. To select a specific seat in one of the three sections of the seating chart and to buy tickets, click here! Although Flash Cadillac’s 50-year anniversary will be observed on April 20, Warren notes that the band’s first paid performance took place 50 years ago on March 7 at a Friday Afternoon Club (FAC) function sponsored by an SAE fraternity house in Boulder. Pointing out that the band earned $100 and all the beer they could drink, Warren estimates that the “frat-boy entrepreneurs” (Warren’s words,not mine) cleared over $300 by charging $1.00 admission for each of at least 500 attendees and buying a couple of beer kegs for $50 or less at the FAC event. Upon learning that the Fine Arts Center was the venue for the upcoming Flash Cadillac performance, I instantly reflected back to my own childhood performance at the Fine Arts Center. ,While a little boy growing up in Colorado Springs my Mexican American grandfather and two uncles used to play the guitars and sing Mexican songs to me and my young cousins. Mexican dances were the first type of dances that I learned to do. Upon becoming fascinated with the Russian ballet dancers performing on black-and-white TV in the early 1950s, I told my mother that I wanted to learn ballet. With tips made from the Mexican bar where my mother always worked, I took ballet and tap-dance lessons at Mary Ruth Dance Studio and performed with my fellow dancers in a few recitals at the Fine Arts Center in Colorado Springs. Ballet made me so limber to enable me to do complete leg splits, back flips and front flips along with walking on my hands. Our classmate Bruce McAlexander vividly recalls to this day how amazed he was to see me perched on the school playground with my legs wrapped around my neck when we first met in our childhood years in Security. Our events (meals, reunions, etc.) are always open to people from all WHS classes of the 1960s, so please know that you are welcome even if you did not graduate with us. AN INTERVIEW with WARREN KNIGHT was recently conducted by me. Although I have been overwhelmed by a flurry of nonstop activity related to a few situations that showed up in my life at the same time from January 1 through the present, only recently did I have a little extra time to circle back to Warren about the upcoming historically-significant performance. The full text of the interview is enclosed below immediately after my sign-off section. COLORADO COLLEGE and the FINE ARTS CENTER began a formal alliance after it was approved by the boards of both institutions in August 2016. Following outreach that included listening sessions and a web-based comment process, the Strategic Planning Committee charged subcommittees to continue reaching out to identify strategic themes, goals, and initiatives to develop as the center and the college integrate their programs. Each subcommittee held community listening and small-group sessions to seek input. In all, the five committees held 40 meetings; and more than 800 comments were gathered. The Strategic Planning Committee used the reports to produce one overall plan. Following another round of community feedback, the Oversight Committee adopted the plan in June 2017. On July 1, 2017, the center formally became the Colorado Springs Fine Arts Center at Colorado College. A four-year transition entailed focus on the museum in 2017, the art school in 2018 and the performing arts in 2019. Donnie: With “Flash Cadillac and the Continental Kids” as the band’s original name, when and why was the “Continental Kids” part eventually dropped? Warren: “The Continental Kids” were dropped from the name in 1976. The name Flash Cadillac and the Continental Kids was created in 1969 as an intentional throwback, modeled along the lines of classic band names in the early traditional rock format, such as Dion and the Belmonts, Little Anthony and the Imperials, Joey Dee and the Starliters, etc. It was a great name for us and stood out as descriptive, quite catchy and very memorable. However, following the release of American Grafitti in the spring of 1973 (our screen name was Herby and the Heartbeats) and the film’s subsequent enormous nationwide popularity, many “Holiday Inn” lounge bands were swept up in the fad to change their band names to Skid Mark and the Victims (or similar) and play oldies. We felt that the uniqueness and originality of the pioneering “Flash and the Kids” name was becoming diluted by association with all the groups jumping onto the Graffiti band wagon. So we made the decision to drop “the Kids” and proceeded as simply Flash Cadillac. Donnie: A brief online bio noted that your band’s name originated with a guy named Hughey Plumley, who enjoyed creating names for bands while he socialized at Boulder’s well-known café bar called The Sink. Tell us more about him. Was he a friend or acquaintance of yours or other band members? Did he play an active role with your band or any of the other bands that he named? Was he considered the “founding father” of your band or other bands? Besides his creativity with names of bands, was he a visual artist or performing artist on any level? Warren: Hughey Plumley was a musician from Grand Junction who met Harold Fielden (our founding drummer) sometime after arriving in Boulder. He did not play any role in our band (was by no means a founding father). I wouldn’t know of any activity or performance history he may have had with any other bands. His first rendition of the name was “Flash Cadillac and the Continental Kits” in reference to the trunk-mounted spare tire storage assembly on the Lincoln Continental; we personalized it into the “Kids.” So in the spring of 1969, Hughey had a name but no band and we had a band but no name, so we stole his name for our band. My older brother Brian, who was a CU law school freshman at the time, personally drove the paperwork to the state capital in Denver to register the name as a service mark. Donnie: As someone who was a dancer and music lover ever since learning Mexican dances and ballet long before moving to Security where you and I were grade-school kids and later on teenagers, I always perceived you as very academic and I never pegged you as a music-oriented person back then in the 1950s clear up through our high school years in the mid-1960s. Was my perception of you correct or did you secretly have a love of music and the performing arts all of our childhood and teen years together in Security? Warren: Your outward perception of me from grade school on as an academic was only partially correct. I was actually both a student and an athlete: Bruce McAlexander and I were starting guards on our sixth-grade basketball team (the Bullfrogs) at North Elementary; I played intramural football and basketball at Sproul Junior High and freshman football at WHS, then varsity tennis, basketball and baseball. But there was also some artistic expression along the way. In sixth grade at North Elementary, Ron Petty and I split the role of Pinocchio in the fall drama production (he and I were about the same size back then). In about ninth grade, I joined the choir at Good Shepherd EUB Church and enjoyed learning how to sing baritone and bass parts sitting next to Art Olson (my father Ralph would sometimes join us – he was a choir singer and clarinetist in his high school days in south Denver). In addition, in our senior year at Widefield I was recruited by Mrs.Coffee to join the Choralaires madrigal group. And all the while, from 1957 on, I loved listening to and singing along to early rock on the radio, and later to album artists such as the Kingston Trio, Beach Boys, Beatles, Byrds, etc. When I quit the WHS basketball team as a senior in the fall of 1965, I bought my first instrument – a used acoustic guitar – from Barry Thompson (or Larry Hazlett?) and taught myself to play in the afternoons after school. So the love of music and the performing arts was always there but was late in developing. Donnie: When you and other band members moved to Los Angeles in the early 1970s to get a break in the music scene there, was it really a place of “who you know, not what you know” like many performing artists encountered for many decades? Donnie: During your 50 years as a performing artist with Flash Cadillac, did you ever consider leaving the group? If so, why? If not, what factors kept you with the group for such a long time? Warren: Only once…in September of 2001 following Sam McFadin’s unexpected death from a heart attack. Flash had lost Linn Phillips (Spike) to a heart attack at age 45 in 1993 and Kris Moe had retired from performing in 1996, battling ALS. So we had been a four-piece band for five years when we lost Sam just ten days before 9-11. After two months, with Dwight’s and Thumper’s support, I decided to continue on a trial basis in order to perform some orchestra pops shows that were still on the books for the spring of 2002. We added Rocky and Tim to replace Sam,the pops concerts went well, and we moved ahead as "keepers of the flame." Donnie: With the 1950s and 1960s music scene having an R&B component that was predominantly African American and the rock-and-roll component that was predominantly white, was that a coincidence or a reflection of the racial dynamics in that era? Which ways did both musical genres overlap? Warren: I’d say it was certainly a reflection of racial dynamics, but as a lover of traditional rock and roll, I loved and accepted both -- Clyde McPhatter and Buddy Holly; Ray Charles and Bobby Darin; Sam Cooke and Neil Sedaka; etc. The genres overlapped whenever good songs were recorded by talented artists. Donnie: With the media periodically reporting on avid fans who travel all over the country to follow their respective favorite bands, does Flash Cadillac have loyal followers who go wherever you go? Warren: Not so much now, because we’re playing so infrequently and mostly just in Colorado. Back in the day, fans would travel regionally to catch up to us. For this special 50th, we’ve got fans/dear friends/family coming in from Arizona,California, Illinois, Minnesota, Montana, New Mexico, Texas, Washington. Donnie: What is your absolute favorite “oldies but goodies” song from the era of the 1950s through the early 1960s? Warren: Can’t really answer that one, Donnie – don’t have an absolute favorite.Even if I came up with a list of 30, or 50 or 100, I’d probably feel I was leaving something out. Donnie: What was the most unusual offer to Flash Cadillac from an individual or business entity? Was the offer accepted or rejected? Warren: I suppose one of the most unusual offers was from Francis Coppola to fly to the Philippines to film Apocalypse Now. We accepted. As it turned out we had to make two ten-day trips: first attempt in May 1976 was aborted by two pre-season typhoons and we all came back with amoebic dysentery; second trip in December 1976 was successful. Donnie: If you looked in the so-called crystal ball, what do you see for the future of Flash Cadillac and similar performing artists who specialize in “oldies” music? Warren: My crystal ball would show me a dissolution of Flash Cadillac in the fairly near future, owing to the fact that when I’ve had enough, I’ll end it. Still love playing traditional rock ‘n’ roll, but a 50-year career is plenty. Other artists may want to keep going; I expect there’ll be an element of demand as long as there are some baby boomers alive who bought records in the 50s and 60s. Donnie: With the current year 2019 being the focus of the performing arts as part of the Fine Arts Center and Colorado College alliance that formally occurred only two years ago, do you feel honored that Flash Cadillac was selected as part of their focus on the performing arts this year? Donnie: How are the pre-event ticket sales coming along? Is the event already close to being sold out? Warren: Ticket sales are going quite well, according to Scott Levy, Performing Arts Director at the CSFAC [Colorado Springs Fine Arts Center]. We’ve sold out the $50 VIP tickets and have only about 200 tickets remaining six weeks before the event. Donnie: Is there anything else you want to add? Warren: Three things: (1) I appreciate your insightful questions concerning the career and history of Flash Cadillac; (2) I always wished I could dance as well as you and Tom Shepherd at the junior high parties and dances; and, (3) The Bird Is the Word! (Trashmen, 1963). 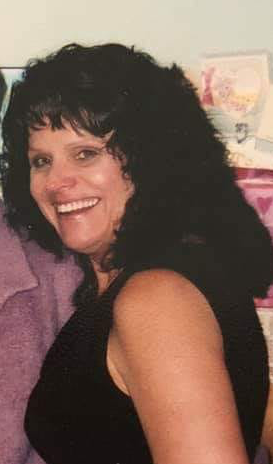 OUR CLASSMATE Bruce McAlexander’s sister CHARLA passed away peacefully at home on January 1, 2019. The funeral will be held at 10:00 a.m. on Thursday, January 10, at Pikes Peak Christian Church located at 4955 Bradley Road (about four blocks East of Main Street and Bradley Road) in Security. Founded in 1956, the church met in a small house on Morningside Drive and later built its first facility on land purchased on Aspen drive. In 2001 the church moved to the Bradley Road location, where it has been located to this day. Born January 25, 1951, in Kansas, Charla McAlexander and her family moved to Security in 1956 when she was five years old. She was raised in Security in the 1950s and the 1960s until she graduated from Widefield High School (WHS) in 1969. Although Bruce was the biological “big brother” of Charla, I was one of a few guys who had a “big brother” connection to Charla. She always was the little sister I would have liked to have when I was growing up in Security. I am the youngest of eight children, so I never knew what it was like to have younger siblings. Charla was always fond of telling the story when she and I were in our teen years (she was 13, I was 16) when she wanted to learn how to kiss. Telling me that kissing was “boring” with boys her age, she wanted to know if there was more to kissing than two people pecking their puckered lips. When I replied that kissing definitely could be more sensual than puckered lips, she asked if I could show her what that was like. After our two-minute kiss, she said she would never forget that technique and vowed to never again use the simple puckered-lips version used by boys her age. By the time Charla and her classmate Joe Vallone (son of the Vallone Bakery owners in Security) began going steady, Charla taught him the kissing technique she learned from me. If I was running for public office in modern times, my candidacy probably would be destroyed if Charla disclosed the kissing technique she learned from me when we were teenagers in Security. Charla married Larry Phair with whom they had two children, Lance Phair and Crystal (Crissy) Phair. She remarried in later years to Eric Bogren. A few days before Charla died, I shared with Bruce a brief dream that I had a week before. In the dream, Charla and I were among several strangers walking around inside a brightly-lit cave when Charla walked up to a ledge far above the rest of us and she began waving to the rest of us who were standing on the cave’s dirt floor. Given that Charla was confined to a wheelchair the last eight months of her life, it was a bit strange that she was walking in my dream and she walked up to a ledge that was far above the rest of us. While dream analysts would have something to say about the symbolism of the bizarre dream, in retrospect it was Charla waving goodbye to me. In addition to being survived by her husband Eric, Charla is survived by her adult children Lance Phair and Crystal Phair Enriquez, her brother Bruce, her sister Claudia, and several grandchildren. Attached in JPEG format is a photo of Charla from the photo collection of family friend Sheryl Salmon Pyle. OUR LONGTIME TEACHER ALMA ADAMS passed away on December 23, 2018, in Colorado Springs. Known to many of us as “Mrs. Adams” when we were at WHS in the 1960s, Alma Harris was born in March 1932 in Kansas and became Adams through marriage in 1954 when she was 22. In 1960 she and her family moved to Security, where Mrs. Adams lived the past 58 years. The teacher who taught English classes to many of us, Mrs. Adams continued her teaching career at WHS clear up to 1995 at which time she retired. After retirement, gardening and cats became her passions and she traveled to Europe and many parts of the U.S. She was preceded in death by her husband Van, who passed away in 1986. Mrs. Adams is survived by her son Todd and her daughter Holly, who was Mrs. Adams caregiver at the Adams family home in Security. She is also survived by her sister Hazel Skinner, brother Harvey Harris, grandchildren as well as several nieces and nephews. Mrs. Adams was interred next to her husband Van at Shrine of Remembrance in Colorado Springs, Colorado. As someone whose first language was Spanish, I learned English at public school in Colorado Springs before moving to Security with my stepdad and Spanish-speaking mother circa 1957. It was not until high school with Mrs. Adams that I truly learned the intricate details of the English language, and it was only from her that I was fully able to hone English speaking and writing skills. At the time of our 45-year class reunion in 2011, our classmates Bruce McAlexander and Barbara Billingsley Massarano paid a visit to Mrs. Adams at the Adams family home in Security. OUR CLASSMATE BARBARA GARRISON and her spouse Brian recently became official “Texans” after being longtime residents of Pennsylvania for 23 years. They sold their Pennsylvania home about six months ago and have been on a journey in their Recreational Vehicle (RV), staying in campgrounds of national parks and other public spaces upon traveling all over the U.S. (and a small area of eastern Canada).Because their driver’s licenses and vehicle annual inspections are due for renewal in Pennsylvania the first few months of 2019, they decided not to be residents there anymore and sought a different state to be their new residence. Their online research revealed that there are only three states (South Dakota, Florida, Texas) that are “most friendly” to people residing as a full-time RVer. Their research also found that,in addition to being RV-friendly, those three states have NO personal income tax.Upon deciding on Texas, they were required to take certain actions – get a mailing service for RVers, register to vote, obtain a library card, set up a bank account,patronize Texas businesses, file their Wills in Texas, obtain vehicle inspection and registration – to show evidence of their intent to live in Texas. Once they became official Texans, they were then free to get back to their RV lifestyle traveling all over the U.S. They recently joined an RV club, which has its national headquarters in Texas and which is devoted specifically to the well-being of people in the RV lifestyle. As part of being Texans living in the RV, Barbara and Brian have been amazed at the large number of roadside trucks whose owners sell meals of all types. With so many roadside trucks that are food-oriented, there is no need to hunt for a café or diner while traveling in Texas. OUR CLASSMATE RICHARD HOFFMAN reached age 70 in April this year,according to his email note sent to this WHS email box. Noting that his wife also turned 70 in early 2018, Rich said that their adult children sent them on a round-trip cruise from South Carolina (where Rich and his wife live) to the Bahamas as a gift for the 70th birthday. Considering the frigid temperatures in Colorado this month (December), the Bahamas sure would be a welcome relief right now. OUR CLASSMATE LINDA BROWN was the focus of a recent inquiry from our classmate Cheryl Minehart Belt, who said, “I wonder what ever happened to Linda Brown.” According to the online archive kept in this WHS email box, Linda’s youngest sister Nancy Brown (WHS Class of 1970) sent an email note in December 2012 to state that Linda passed away from brain cancer in 1994. Shortly after Nancy notified us about Linda’s death, our webmaster Paul Snell added Linda’s name to the ever-growing alphabetical list at the top of the “In Memoriam” page on the class website. Linda Brown's sister, Marlene Brown (WHS Class of 1967) also is deceased. Marlene was the girlfriend of Jerry Frazee when we were in high school, and they were married for a few years after they graduated from WHS. Jerry Frazee re-married to Connie Hanson (WHS Class of 1967), and both Jerry and Connie were at our 45-year reunion event held in July 2011. According to the aforementioned email note from the youngest sister Nancy Brown, Marlene died in 1974. Based on that year as the date of death, Marlene would have been around the young age of 25 years old and there was no mention about the cause of death. While our classmate Linda Brown was relatively introvert despite being a very nice person, her sister Marlene had an opposite personality in that she was extrovert and more active in school activities (including being a pompom girl). OUR CLASSMATE Dave Larsen’s brother SAM passed away from cancer on October 10, 2018, in Pennsylvania at age 71. Born February 3, 1947, Sam spent most of his childhood and teen years in Colorado Springs and graduated from WHS in 1965. Quite the academic achiever, he was in the National Honor Society all four years at WHS. In addition to knowing his own classmates in the Class of 1965, Sam knew several people in our Class of 1966. After high school, Sam served his country in the U.S. Navy for a total of 30 years, part of which was during the U.S. war in Vietnam. During his naval career, Sam eventually became a chaplain and retired in the rank of Commander. Sam is the author of the 2014 book titled Gripped by a Global God: One Greater Than Jonah. A celebration of Sam’s life was held in early November 2018 in Pennsylvania. To watch the 3-minute slide show that Sam’s brother Dave Larsen put together as a tribute to Sam, please go to our above-listed class website to see the announcement on the home page with directions how to view the video (with the Righteous Brothers’1965 slow song “Unchained Melody” as a backdrop) directly on our website. OUR CLASSMATE Phil Martin’s brother RALPH passed away on September 8, 2018, in Colorado Springs. According to the public obituary, Ralph was born June 7,1951, in Kentucky and began working construction at the age of 14. He was in the WHS Class of 1969. Ralph worked for GE Johnson Construction Company from which he eventually retired after 29 years of service. He was preceded in death by his father Calaway Penn Martin, his mother Marceline Martin Bane, and his brother Steven Bane. In addition to being survived by his brother Phil, Ralph is survived by his wife Gail Hinson Martin (with whom Ralph was married for 48 years), daughter Michell and son Brandon, stepsister Marina, two grandchildren, one great grandchild, and his companion pet Emilio. The memorial service was held on September 14,2018 at Evergreen Funeral Home in Colorado Springs. OUR CLASSMATE HELENA SPAGNOLINI has ended up in a nursing home as a result of being disabled. Her situation was recently conveyed to our classmate Lydia Romero Fine by Helena’s sister Arleen, who thinks that cards or letters would really help to lift Helena’s spirits and brighten her days. Anyone who has known somebody whose disability reached the point of nursing-home care knows that the transition oftentimes can be vast and awful for someone who has been mostly independent all of his or her life. The transition can lead directly to the type of loneliness that Arleen has described as facing Helena in her current situation. As an independent person all of my life, my greatest fear always has been the likelihood of my health deteriorating to the point of having to rely on other people to take care of me. Although I can still live on my own despite my health challenges, lurking in my mind is the unpleasant thought of totally losing my independence in the event of health deterioration. Helena, her parents and siblings moved to Security circa 1959. Helena was with many of us all through junior high and high school clear up until graduation at WHS. I remember her always being a very nice person with a warm smile despite being shy and not very talkative. Please join me in sending a card or letter to Helena. Even if you did not know her personally, it would greatly lift her spirits to hear from you. It takes only a few minutes to send well wishes, which can mean a lot to our classmate who has reached a point in her life of being in a confined environment. A photo of Helena can be found in the “S” section of the alphabetical list of senior photos that were emailed to everyone one year ago in July 2017. Many thanks to Lydia for bringing Helena’s situation to the attention of our classmates. Thanks are also extended to our classmates Bruce McAlexander and Linda Nolin Weber for using the email method to convey Lydia’s messages to me.With me having only an old-fashioned landline phone that does not have the long-distance feature and Lydia not having an email address or online access, people probably can imagine the communication difficulty that arose between Lydia and me. With two people living outside modern technology, the terminology “communication gap” certainly takes on a different connotation that could be the subject of a skit on Saturday Night Live. I thought about using the old-fashioned method of smoke signals to get through to Lydia, but fortunately Bruce and Linda were kind enough to act as liaisons through their use of the modern-day method of online communication. PLEASE do not TAKE IT PERSONALLY if you do not hear from me right away.As a volunteer in several nonprofit entities, I have only so much time within which to do my volunteer work as well as tend to my health challenges and other aspects of my personal life. Delays in my replies, in particular, are due to my long sleeping hours during which there is total relief from my neurological illness for which there is no cure. It is now thirteen (13) years that I have had massive nerve damage.With this neurological illness continuing to take center stage in my life each day,there cannot be very much so-called normal or routine activities on my part as long as a state of normalcy has not been returned to my life. As noted in my update in July 2013, another reason for delays in my replies is that I have been “slowing down” more and more since late 2012 – it takes me forever to get something done.My doctors attribute the slowness to me getting older, not the neurological illness. OUR CLASSMATE ROD GILLILAND recently passed away in Kansas, where he resided for many years. Our classmate Denese Clark Bigelow had been a longtime friend of Rod, and four months ago (October 2017) was the last time she visited Rod at his home in Kansas. A very friendly and nice guy, he was with many of us from grade school through high school in Security. When we were youngsters at Sproul Junior High, Rod was the second boyfriend of our classmate Della Romero. She was the first girlfriend I ever had. She and I were in 4th or 5th grade at North Security Elementary School when we went steady. I bought her a ring at Simms Grocery Store, where her father worked, and Della proudly wore the ring on a chain around her neck. Throughout the time she and Rod were together in junior high and part of high school, Della and I remained good friends and had many good laughs. Rod was one of many of our classmates who were featured in the “slam book” that was popular when we were in junior high and high school in Security. A journal of classmates' opinions of one another, the slam book contained a sign-in page on which participants entered their names next to a specific number. Participants then used those assigned numbers to correspond to their remarks about classmates and topics listed throughout the slam book. Listed below are some of the comments about Rod in the slam book that our classmate Patti Kueck Daniel had from 8th grade when we were in junior high in Security. “A doll, lots of fun." "Wow, adore him. He's all Della's." Attached in JPEG format is a modern-day photo of Rod. In case you forgot what Rod looked like when he was with us for many years at school in Security, his photo is among the online senior photos that were emailed in PDF format to all of our classmates in July 2017. Rod’s father (who died in 2015) was only nine years old in the early 1930s when he and his parents and siblings moved from a small town in Kansas to the small town of Fountain, Colorado, where he learned the practice of “bartering” by using a horse-drawn wagon to haul fruits and vegetables from the Gilliland ranch to the dirt main street in Fountain. It was there that he met Fountain’s grocery store owner, whose daughter Margaret later married Rod’s father in the early 1940s after they graduated from Fountain High School. Before they started having children, Rod’s father joined the Marines to serve in World War II at which time he flew fighter planes (two of which were shot down with him inside). 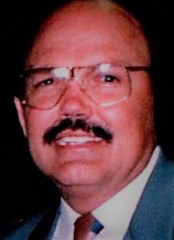 Listed below is the obituary about Rod, whose funeral will be at 1:00 p.m. on February 13, 2018 at Mount Moriah Funeral Home in Kansas City followed by burial at the cemetery there. “In loving memory of Roderick Lee Gilliland who mercifully passed on February 8,2018. Rod we send you off to heaven with our love and caring and fond memories as full as the ocean. You were a precious soul so full of life and joy. Your life touched so many people and we will remember your wit, charm, and deep faith in your redeemer. Your life was cut short by illness, and your last years were tempered with failing health. But you are in your loving saviors arms now free of pain. Rod was born on August 27, 1948 in Colorado Springs, Colorado. He is survived by his loving mother Margaret, older brother Robert and younger brothers, Douglas and John. Rod was a magical soul. He had a mischievous nature and often shared a lighthearted smile coupled with an ornery twinkle in his eye. His imagination was unlimited and expressed itself through his passion for creating art. He loved music, lots of rock, and soul. His gentle personality was committed to making amazing works with stained glass. He created poetry with his writing. He had so many friends and touched uncounted lives with his magnetic personality. Professionally, Rod was a successful real estate marketing professional. He had a talent for selling new homes and worked for years with his father and older brother to sell homes in many of the best communities in KC and Johnson County. One of his many passions was prison ministries. For years he gave love and hope to those that were the least of our society. He spread God's love and message to those that needed it most. ALMOST ALL of our CLASSMATES WILL BE 70 years old this year. A few of our classmates (Gary Storm, Roy Manuszak, Andy Stumpf, Lydia Romero Fine, Daryl Kuiper) already turned 70 in late 2017, and the rest of us will reach that old age this year. A few classmates (Starr Coakley Miller, Peggy Flynn Meredith, Glenda Windle Armstrong, Denese Clark Bigelow, Debbie Armknecht Allen, Andi Armstrong Crowner, and Bobbi Stephens Eberhardt) turned 70 last month. Bruce McAlexander will turn 70 this month. Shirley Guinta Tafoya, Ken Loveless and Barbara Billingsley Massarano will go next in March. Ron Petty and Paul Snell will be next in April. Linda Nolin Weber will turn 70 in July. The seven youngest classmates (Bruce Brian, Rhonda, Maryellen, Gillie, Doug, Warren Knight and yours truly) will have to wait until the last three months of the year. THE DEATHS of SIBLINGS are the reality that our classmates will be facing more and more as we grow older. Many of us went through the deaths of our respective parents over the past years, but now that they have been laid to rest there has been a new chapter with the deaths of siblings. Our longtime classmate Barbara Garrison recently lost her beloved younger sister Christina (WHS Class of 1968), and my oldest brother passed away last month. With the death of a sibling, surviving siblings periodically look at one another and wonder aloud, “Are we next?” It is hard enough to go through the grief process with the loss of parents, but the loss of a sibling brings the death issue closer home. THE ONE DOLLAR STORY is a very touching tale written by our classmate Bruce McAlexander’s father, who passed away in 2016. Listed below is what Mr.Alexander wrote. In the end of our crew training and being transferred to Lincoln, Nebraska Air Base to pick up a new B-17 Flying Fortress to fly to the 15th Air Force in Italy, each of us crew members signed a dollar bill to give to our closest of kin. I gave the $1.00 bill to my sweetheart wife, Bonnie Jean, who placed it in her knick-knack box where she kept her keepsakes. After the war we lived in Waldo, Kansas, and then Oberlin, Kansas. Then in 1957 we moved to Security, Colorado and in 1966 we moved to 801 Hallam Avenue, Security, Colorado, where I reside now. Bonnie Jean said to me the signed $1.00 bill was gone. In the meantime, we forgot the $1.00 signed bill. The doorbell rang at my home and my daughter Charia and friend Trish answered the door. A man was at the door and asked if they lived there when they were teenagers and they said yes. He said when he was a dumb and young 16-year-old,he broke into our house and stole this $1.00 bill. He said: “I was saved and became a Christian and the Lord told me to return this signed $1.00 bill. This house is as pretty now as it was when I was a kid.” Charla and Trish stated the guy said he was a graduate from Widefield High School in 1974 and he lived in Georgia and was back here for his dad’s funeral. Charla and Trish did not get his name, so I was unable to thank him for the wonderful gift he brought back to me and my wonderful family. When Trish and Charla brought the $1.00 bill into the room where I was sitting, the tears came. I remembered well the signers of the $1.00 bill. I wanted to thank the good man for what he did. Trish got the school yearbook and looked to see if we could get a name. No luck. I pulled out the expired newspapers,dated April 20 to May 12 and went and recorded all the men that passed away or were born from 1936 back and all their surviving sons. When I came to Bobby-Gene Spradlin with 5 sons and the memorial service was at the local Catholic Church, I thought possibly I could find the person I am looking for. I again started looking in the school annual for names in the 1974 class. I found the name Robee Spradtn (spelled incorrectly). In the 1973 yearbook I found a Tom Spradlin, so I looked in the phone directory and looked up Bobby's number and a couple other names. The first name I called was wrong. The next number I called, a lady answered and I told her who I was and asked if she was a daughter to Bobby. She said she was his wife.She knew all about the $1.00 bill. I enjoyed the visit with your mother. Thank you, Robee, so much! Robert, you are a special person to do what you did after 42 years. I would love to meet you and your wife, Amy. PLEASE do not TAKE IT PERSONALLY if you do not hear from me right away. As a volunteer in several nonprofit entities, I have only so much time within which to do my volunteer work as well as tend to my health challenges and other aspects of my personal life. Delays in my replies, in particular, are due to my long sleeping hours during which there is total relief from my neurological illness for which there is no cure. It is now eleven (13) years that I have had massive nerve damage. With this neurological illness continuing to take center stage in my life each day, there cannot be very much so-called normal or routine activities on my part as long as a state of normalcy has not been returned to my life. As noted in my update in July 2013, another reason for delays in my replies is that I have been “slowing down” more and more since late 2012 – it takes me forever to get something done. My doctors attribute the slowness to me getting older, not the neurological illness. Just as I have done for many years, my picks for the Oscar Awards are now once again shared with friends, relatives, activists, neighbors and people with whom I went to school. It is now thirteen years of my ongoing neurological illness for which there is no cure, yet my spirits continue to be lifted whenever my health challenges allow me to get out to a movie theater. BEST ACTRESS NOMINEES are: Sally Hawkins; Frances McDormand; Margo Robbie; Saoirse Ronan; and, Meryl Streep. Ms. Hawkins is very good as a mute janitor who falls in love with and rescues a human-like sea monster while working at a U.S. government secret research facility in 1962, as detailed in the well-done film “Shape of Water.” Ms. McDormand is very good as a grieving mother whose unrelenting anger is directed at the police chief for not solving the brutal murder of the mother’s daughter, as detailed in the well-done film “Three Billboards.” Ms. Robbie is very good in her portrayal of the famous ice skater Tonya Harding whose career was tarnished in a sports-related scandal, as detailed in the true story “I, Tonya.” Ms. Ronan is very good as an outspoken Catholic high-school senior whose relationship with her strong-willed mother is marked by ongoing tension and heartbreak, as conveyed in the film “Lady Bird.” Ms. Streep is very good as the first woman publisher of a major U.S. newspaper and the tough decisions she made in standing up to President Nixon upon publishing secret government papers that exposed myths and realities of the U.S. war in Vietnam, as detailed in the true story “The Post.” Frances McDormand is my choice for the award, but I won’t be disappointed if the award goes to Ms. Hawkins or Ms. Streep. BEST ACTOR NOMINEES are: Timothee Chalamet; Daniel Day-Lewis; Daniel Kaluuya; Gary Oldman; and, Denzel Washington. Chalamet is very good as a 17-year-old Jew who has a romantic relationship with a 27-year-old man who is also a Jew, as conveyed in the film “Call Me by Your Name.” Day-Lewis is very good as a 1950s upper-class man who designs dresses for high-society women and who becomes abusive in his romantic relationship with a working-class woman, as conveyed in the well-done film “Phantom Thread.” Kaluuya is very good as an African-American young man who encounters racial stereotypes and a horrifying hypnotic procedure upon meeting the wealthy liberal parents of his young white woman partner, as conveyed in the film “Get Out.” Oldman is very good as British Prime Minister Winston Churchill who faced tough decisions about British soldiers trapped by the Nazi military at Dunkirk, France in World War II, as detailed in the well-done film “Darkest Hour.” Washington is good as an idealistic lawyer whose civil-rights principles are contradicted by his acceptance of reward money for locating the killer in a store robbery, as conveyed in the mediocre film “Roman Israel Esq.” Gary Oldman and Daniel Day-Lewis are my choices for the award, but I won’t be disappointed if the award goes to Daniel Kaluuya. BEST SUPPORTING ACTOR NOMINEES are: William Dafoe; Woody Harrelson; Richard Jenkins; Christopher Plummer; and, Sam Rockwell. Dafoe is very good as a protective father figure who manages a motel in which poverty-stricken single mothers and their children are tenants, as conveyed in the well-done film “Florida Project.” Harrelson is very good as the police chief who is targeted by the rage of a grieving mother for not solving the murder of the mother’s daughter, as conveyed in the well-done film “Three Billboards.” Jenkins is very good as a gay visual artist who is the next-door neighbor and accomplice of a mute woman janitor who rescues a human-like sea monster while working at a U.S. government secret research facility in 1962, as detailed in the film “Shape of Water.” Plummer is very good in his portrayal of billionaire J. Paul Getty who refused to bargain with the kidnappers of Getty’s grandson in 1973, as detailed in the true story “All the Money in the World.” Rockwell is very good as an overtly-racist police officer who is targeted by the rage of a grieving mother for not solving the murder of the mother’s daughter, as conveyed in the well-done film “Three Billboards.” Sam Rockwell is my choice for the award, but I won’t be disappointed if the award goes to Woody Harrelson or Christopher Plummer. BEST SUPPORTING ACTRESS NOMINEES are: Mary Blige; Allison Janney; Lesley Manville; Laurie Metcalf; and, Octavia Spencer. Ms. Blige is very good as an African American woman who assists her husband as caretakers of a white family’s farm in World War II, as conveyed in the well-done film “Mudbound.” Ms. Janney is very good as the abusive mother of the famous ice skater Tonya Harding whose career was tarnished by a sports-related scandal, as conveyed in the true story “I, Tonya.” Ms. Manville is very good as the sister of a 1950s upper-class man who designs dresses for high-society women and who becomes abusive in his romantic relationship with a working-class woman, as detailed in the well-done film “Phantom Thread.” Ms. Metcalf is very good as the strong-willed mother who has an intense and heartbreaking relationship with her outspoken Catholic high-school daughter, as conveyed in the film “Lady Bird.” Ms. Spencer is very good as an African American woman janitor who is the co-worker of a mute woman janitor who falls in love with and rescues a human-like sea monster while working at a U.S. government secret research facility in 1962, as detailed in the film “Shape of Water.” Mary Blige and Octavia Spencer are my choices for the award, but I won’t be disappointed if the award goes to Laurie Metcalf. BEST PICTURE NOMINEES are: “Call Me by Your Name”; “Darkest Hour”; “Dunkirk”; “Get Out”; “Lady Bird”; “Phantom Thread”; “The Post”; “Shape of Water”; and, “Three Billboards.” Noticeably absent from the list are the films “Zookeeper’s Wife” (true story of a non-Jew who rescued non-Jews in World War II) and “Detroit” (true story of events leading up to the 1967 riots). “Call Me by Your Name” is a mediocre film about a 17-year-old male Jew who falls in love with a 27-year-old male Jew, but the film fails to clarify to the viewer how the Jewish identity is part of the bond in the gay relationship between the two guys. “Darkest Hour” is a well-done film based on the true story of British Prime Minister Winston Churchill who faced tough decisions about thousands of British soldiers who were trapped by the Nazi military at Dunkirk, France, in World War II. With its focus limited to Churchill’s decision-making process in government venues far away from Dunkirk, this film is a nice companion piece to the “Dunkirk” film that spotlights the experiences of British soldiers on the battlefield. “Dunkirk” is a well-done film based on the true story of thousands of British soldiers who were trapped by the Nazi military at Dunkirk, France, in World War II. With its focus limited to the experiences of the British soldiers, this film is a nice companion piece to the “Darkest Hour” film that spotlights Churchill’s decision-making process in government venues far away from Dunkirk. “Get Out” is a well-done film about an African American young man who encounters racial stereotypes and a horrifying hypnotic procedure upon meeting the wealthy liberal parents of his young white woman partner. “Lady Bird” is a well-done film about the tension and heartbreak in the stormy relationship between an outspoken Catholic high-school senior and her strong-willed mother. “Phantom Thread” is a well-done film about a 1950s upper-class man who designs dresses for high-society women and who becomes abusive in his romantic relationship with a working-class woman. The film’s 60-year-old star, Daniel Day-Lewis, has stated this is his last movie. “The Post” is a well-done film based on the true story of the first woman publisher of a major U.S. newspaper and the tough decisions she made in standing up to President Nixon upon publishing secret government papers that exposed myths and realities of the U.S. war in Vietnam. “Shape of Water” is a well-done film that is visually stunning with an outrageously-themed plot set in 1962 at a U.S. government research facility at which a mute woman janitor falls in love with and rescues a human-like sea monster that a Russian spy also seeks to rescue for a scientific study. “Three Billboards” is a well-done film about a grieving mother whose anger is directed at the police chief for not solving the brutal murder of the mother’s daughter. For me to enjoy a movie, it must almost always have two main qualities: (1) it reveals events of a historical era unfamiliar to me; or (2) it is set in a geographic location or situation unfamiliar to me. Because they were set in locations unfamiliar to me and they had many historical details that I did not know until seeing the films, “Darkest Hour,” “Dunkirk” and “The Post” are my choices for best picture. ABC will televise the awards on Sunday, March 4, 6:00 p.m. Colorado time. YOU ARE CORDIALLY INVITED to a social gathering of the WHS Class of 1966 on Friday, October 27, 11:30 a.m., at Savelli’s Pizza Restaurant located at 301 Manitou Avenue in Manitou Springs. From downtown Colorado Springs, head west on Colorado Avenue until it turns into Manitou Avenue OR head west on Highway 24 to get there. If you wish to view Savelli’s menu, which features several pasta entrees and several types of sandwiches as well as a wide selection of pizzas, click here! To our classmate Bruce Brian who said he would not be able to make it until 12:15,please RSVP and plan to attend anyway. By the time all attendees dillydally around getting from their respective cars into the restaurant and take more time to get seated as well as hem haw around about what to order, it probably will be around 12:00 noon. If Bruce Brian arrives at 12:15, that will be only 15 minutes after the show gets started when orders start arriving at the table and he will have plenty of time to order and socialize with attendees. By the time everyone finishes eating and continues to socialize, it may not be until 1:30 p.m. or 2:00 p.m. before attendees start to hem haw around with farewells and once again dillydally around getting back to their respective cars to head home. At this time 50 years ago, some of our classmates were starting their second year of college. Some of our classmates were in their second year of marriage or making wedding plans. Some of our classmates were on the battle fields due to the U.S. war that raged on and on in Vietnam. Some of our classmates were still trying to figure out what they wanted to do with their respective lives.